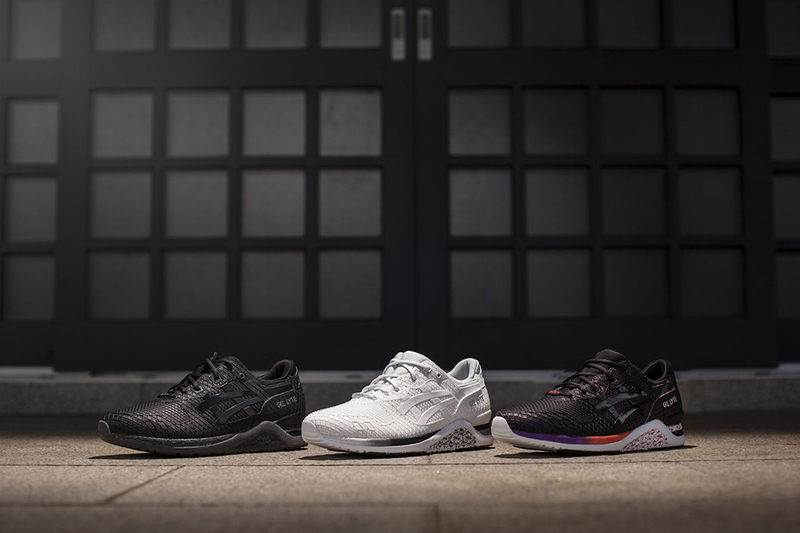 After dropping a white version of the GEL-Respector and a black colorway of the fan-favorite GEL-Lyte III, ASICS is back with a brand new addition to its snake-inspired “Mamba” pack for Summer 2015. Coming in the form of the GEL-Lyte V, the release echoes the aesthetic of the previous two drops, donning a luxurious faux snakeskin upper and a monochromatic execution — in this case, a bright red hue. Retailing for $130 USD, the “Red Mamba” take on the GEL-Lyte V is available now via Sneaker Politics while supplies last. Perhaps a close second in terms of luxuriousness to the upcoming veg-tanned edition of the GEL-Lyte III — which is limited to just 300 pairs and will retail for $500 USD — is this off-white release from ASICS. Decked out in faux croc skin throughout, the tonal design is one of the cleanest GEL-Lyte IIIs to date, coupling an off-white leather upper with a matching rubber outsole, stark white GEL-cushioned midsole and matching lining. Available now via atmos, the kicks will likely make their way to additional ASICS stockists in the coming weeks. ASICS drops a crisp white sneaker for the summer season with the GEL-Lyte V white on white. The retro runner is swathed in a tonal white colorway, featuring a perforated leather upper, panel overlays, the ASICS sidestripe, and a white midsole equipped with the Japanese sports brand’s signature GEL cushioning technology. You can purchase the ASICS GEL-Lyte V White/White now from Premier for $110 USD. In celebration of the 25th anniversary of the silhouette, VILLA and rapper Wale have teamed up with ASICS to craft an Independence Day-themed “Bottle Rocket” edition of the GEL-Lyte III. First teased earlier this month, the design boasts a predominately black upper, donning premium leather paneling as a white star motif appears beneath black mesh overlays. Additional touches are highlighted by patriotic red, white and blue accents across the likes of the laces, branding, speckled midsole and rubber outsole while reflective touches evoke the explosive nature of the shoe’s namesake. The “Bottle Rocket” edition of the popular split-tongued retro will be available at VILLA in limited quantities beginning June 26. 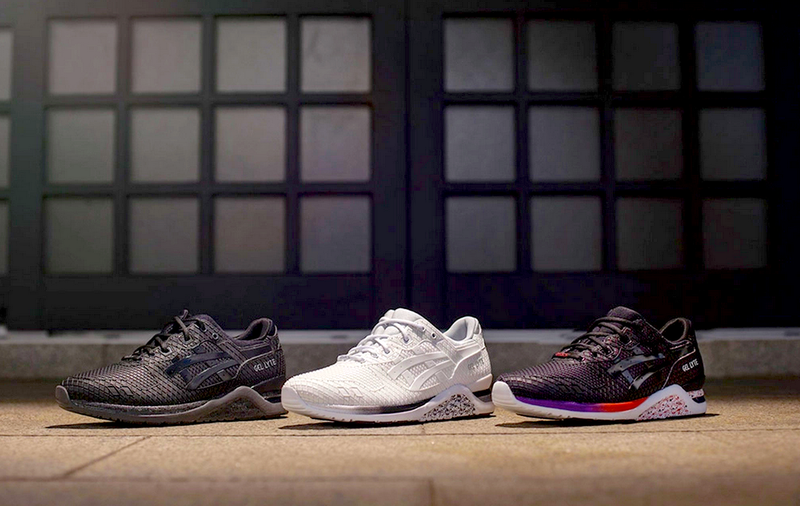 Another brand is bringing back its old-time favorites, with ASICS re-releasing its GEL Kayano Trainer. Originally released 22 years ago, 2015 is seeing the classic trainer reimagined for modern day with updated materials and construction. Retaining its innovative edge, the GEL Kayano Trainer EVO gets a sleek one-piece mesh upper and a lime green neoprene socklining. A matching gray heel cage, branding and laces complete the shoe. The GEL Kayano Trainer EVO will become available June 5 at Foot Patrol. Joining the grey and neon green colorway of the GEL-Kayano Trainer EVO is a black and teal take on the updated ASICS runner for Summer 2015. Boasting a sleek one-piece mesh upper with synthetic overlays and a plush neoprene sock liner, this edition of the shoe comes decked out in black with a contrasting white midsole as seasonally-apropos teal takes care of the comfy bootie. Finished with a dash of purple on the tongue for good measure, this GEL-Kayano Trainer EVO is available now from afew for €89.95 EUR (approximately $100 USD).